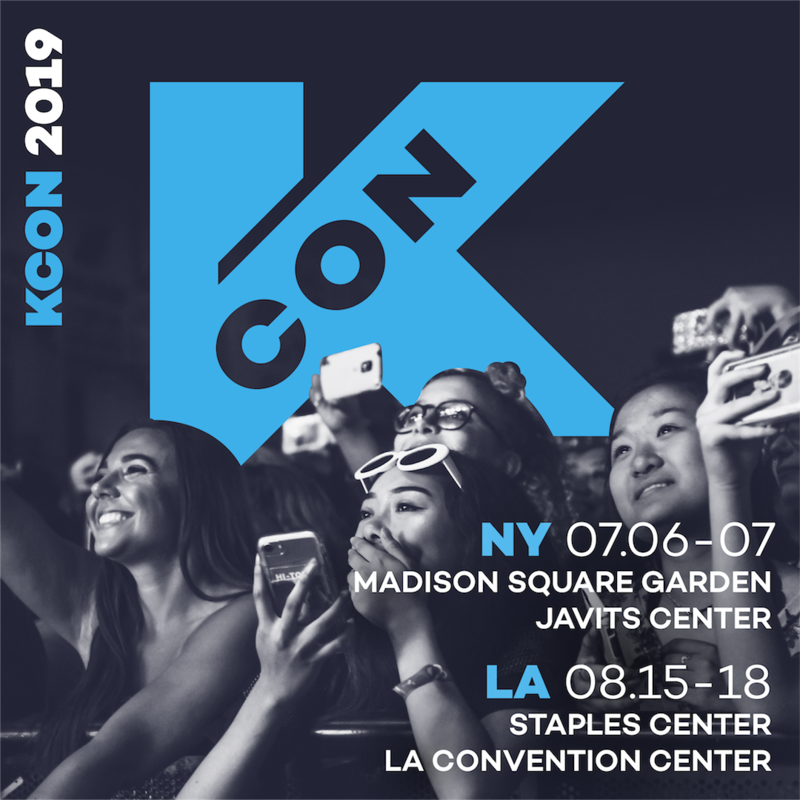 The programs we will be recommending in this itinerary can only be accessed at our KCON Convention, which means you will need to register a Convention wristband. If you have one already, you’re ahead of the game! You can skip to the Check-In information. 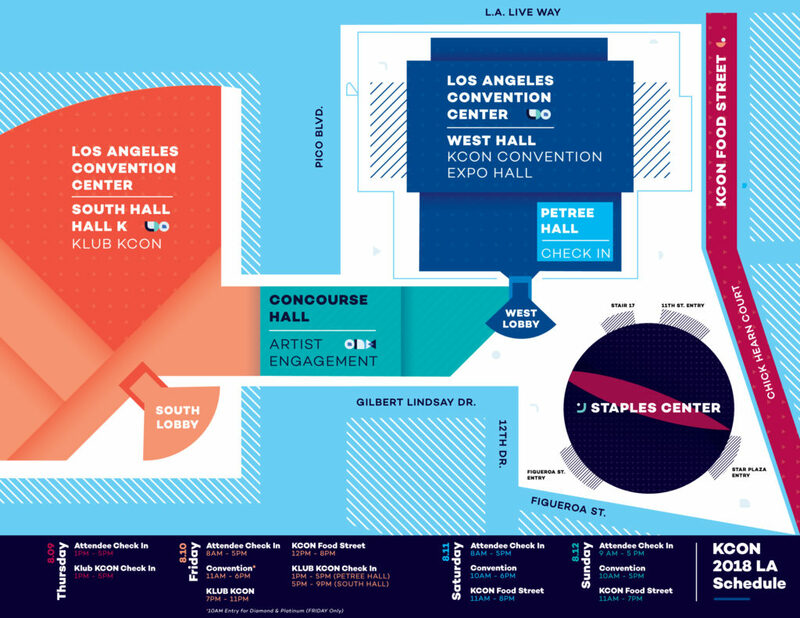 Even though our KCON LA convention is located indoors, walking around the big Convention hall will get tiring and you’ll probably want something to drink. This year, to help keep our fans hydrated, we added a water bottle to our merchandise lineup.With this KCON water bottle, you can use our water refill station to stay hydrated even after a ton of dancing! K-Activity Zone: This is the area where you can experience all of our convention panels and workshops, including our dance workshops. If there’s a panel you’re really excited about, get a seat early. 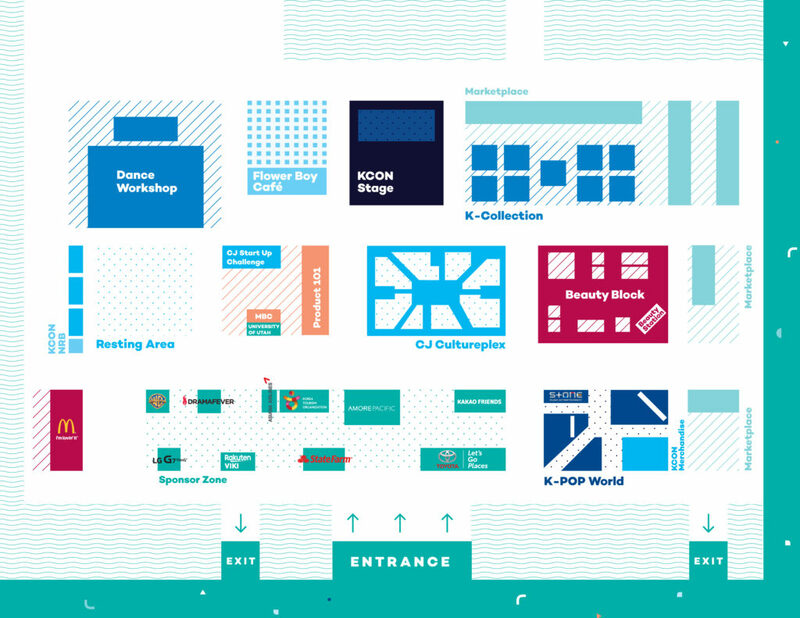 K-Culture Zone: In this zone, you can find our market, sponsors, picnic area, and our stage. A lot of sponsors and vendors have great things to see, purchase, and/or giveaway, so it’s good spot to peruse before it gets busy! Plus, our official KCON Merchandise Booth is here. Get your merch before it’s sold out! If this schedule name sounded perfect for you, then you must be familiar with KCON already! Nowadays, it seems like everywhere you look there’s something related to Hallyu. 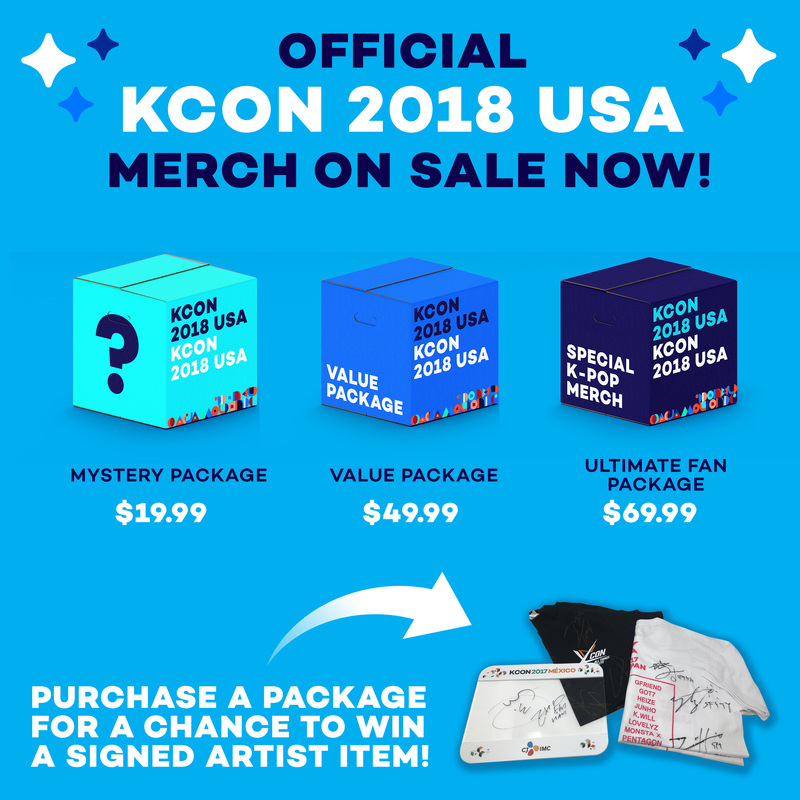 We know that with Hallyu is only getting bigger, many of you have different reasons for coming to KCON–whether that be K-Pop, K-Beauty, K-Dance, or K-Food. If we were a fan interested in the music industry, below would be our ideal schedule. We can’t promise everything (there’s a lot of stuff going on all at once! ), but we’ll try our best to show you the KCON world in two-and-a-half days. Let’s KCON! You all don’t need a reminder! 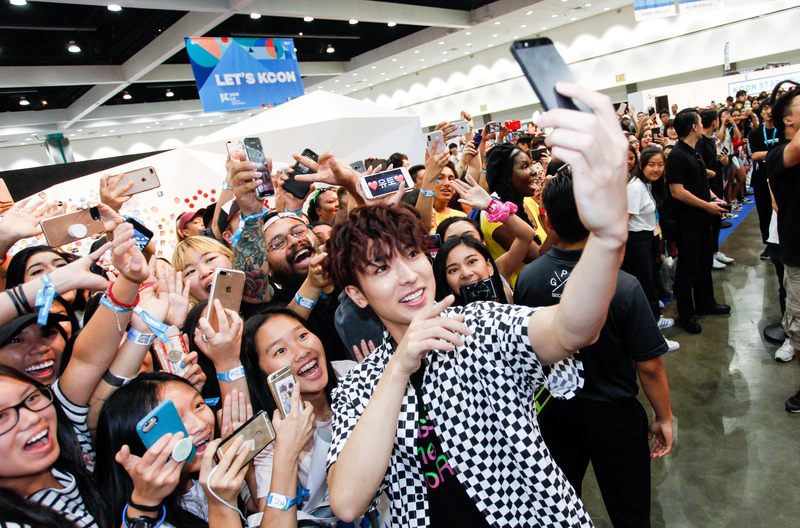 Once you’ve checked in at Petree Hall with your confirmation email and have received your wristband – grab your friends and get ready go explore KCON! Convention programs won’t start until 11 AM, so you can use this hour to get yourself acquainted with the KCON Convention. Make sure your children don’t run because we don’t wish for them to get injured. Petree Hall: This is the registration area, but it’s also the location of the info booth where you can find our Lost and Found. 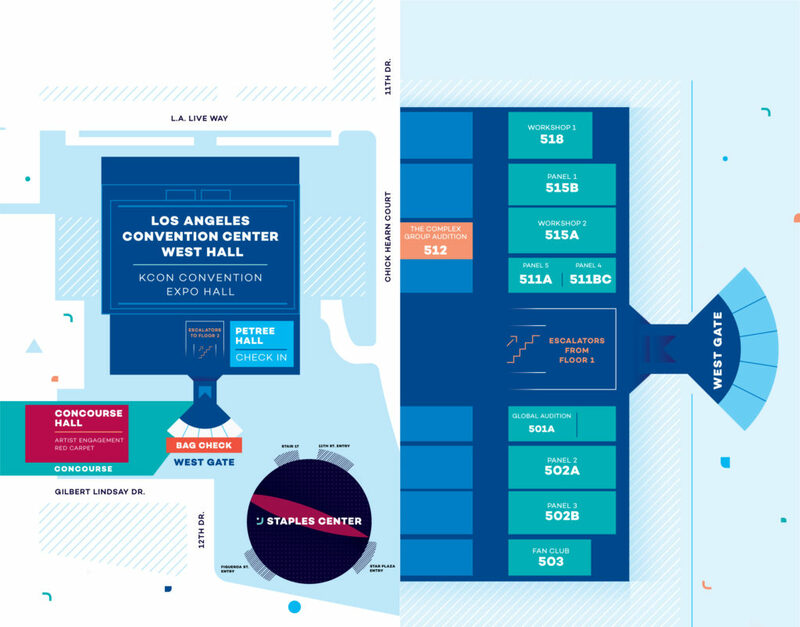 Concourse Hall: All artist engagements, KLUB KCON, and Red Carpet events will take place here. If you want to learn what goes into the art of creating K-pop music look no further! Andreas Oberg is a songwriter/producer that has experience writing & producing songs for many of the biggest K-Pop idols such as EXO, TWICE, Super Junior, SHINee, Red Velvet, Girls Generation, (f)x, NCT, TAEYEON, TVXQ, VIXX, MONSTA X & many more! Multi-platinum songwriter and producer Matthew Tishler, is also no stranger to the K-Pop industry with his projects having a combined sales of over 15 million units and working with industry giants such as EXO, Taeyeon, and BTS! 3:00 PM – 4:00 PM: [PANEL 502B] Music Director Gil Smith Talks YG Entetainment’s Live Bands and more! Whether you’re a K-Pop fan or just a fan of music in general, you know that live performances are truly cherished experiences, and more often than not there’s band right there behind your favorite idols making it all happen. If you’re more interested in performing live music with K-Pop artists, Gil Smith is the founder of Saga entertainment and is a sought-out American music director, producer and arranger who has played an intricate role in creating some of the highest grossing K-Pop tours. Get the behind the scenes scoop with Gil and the rest of panel of talented musicians who have toured with YG artists! The ladies of this panel are paving the way as female journalists, concert promoters, photographers, and will discuss what it is like working with all things Hallyu! Whether you’re male or female, these panelists are truly professionals in this industry and can share some insight into becoming a Hallyu professional! Don’t miss this chance to learn how to turn your passion into a career! After Day 1, you’re already familiar with the space and you must be just a little sad because it feels like the day is over TT. It’s okay, take a deep breath there’s still about 12 hours left to enjoy the rest of KCON! If you haven’t already, make sure you head to our beautiful “K” statue and take a selfie! If you’ve always had a passion for Korean entertainment, come join this stimulating discussion with some amazing industry professionals: Choi Ji-Hoon, General Manager of Amoeba Culture, and Lee Joo-Seob, CEO Chungha. Now’s your chance to hear how they got into their professions, enjoy stories about their experiences, and more. Want to know all about the artistry and creativity that goes into the craft of K-Pop music design? Learn all about our industry professionals and their amazing stories of getting into the K-Pop industry. Ready for day 3? We bet you are! There’s still plenty of ways to be inspired and learn a thing or two for your future in K-Pop! Even if you don’t want a career in K-Pop there are loads of interesting topics from a variety of fields to hear from! It’s time to “meet” and “greet” eSNa! The singer, songwriter and producer, who originally hails from LA, has worked with some of the biggest names in Korea like Madclown, Hyolyn, Jo Kwon, Sane E, Mamamoo, Bastarz, Jun. K, among others. Plus! She’s released several albums of her own. How might you already know this triple-threat talent? eSNa is the songwriter behind Soyu and Junggigo’s massive hit “Some”! We definitely recommend coming by to say “hello”! 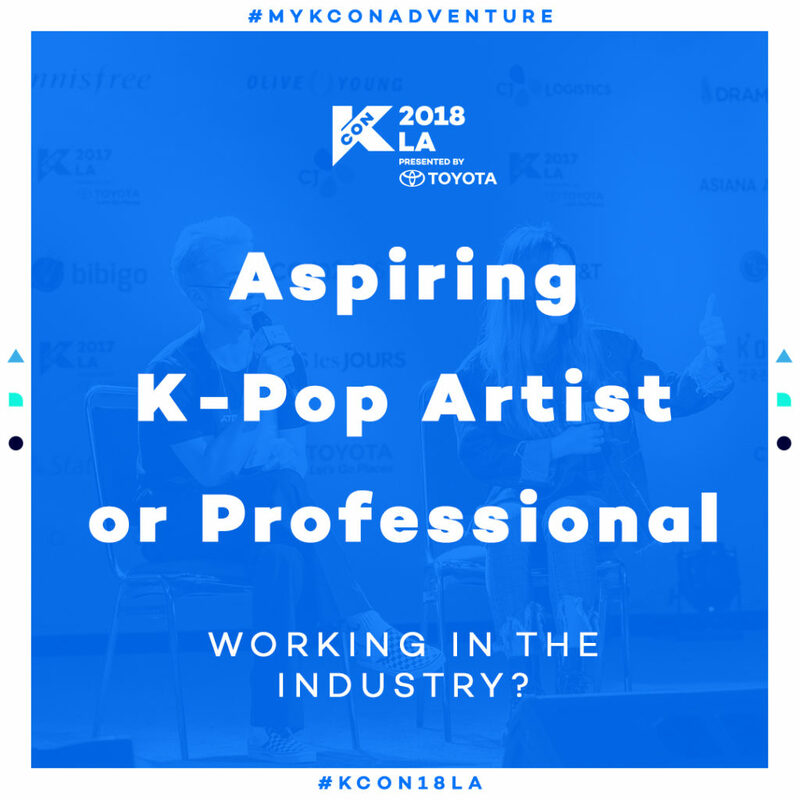 This itinerary is just a taste of what KCON has to offer, but we hope it offers a guide to those who are either considering a career in music or are just curious about the industry! Check out some of the programs we highlighted and explore the rest for yourself! Make sure to check out the full Convention Schedule. Check out our other all day programs at the convention below! You all already know the dances to your favorite jams, but have you gotten the chance to learn them from some of your favorite dance cover artists? What about official choreographers? We think not! 1 Million, Ellen & Brian, MVP ELITE, the list goes on! We’ve got some star studded upgrades to our convention stage this year with our STAR Live Talk! Aside from the amazing performers you’ll be able to cheer on, you’ll get to spend some time hearing from some of our lineup artists during this special “talk show.” This means that your convention wristband will get you closer to K-Pop’s biggest artists than ever before. 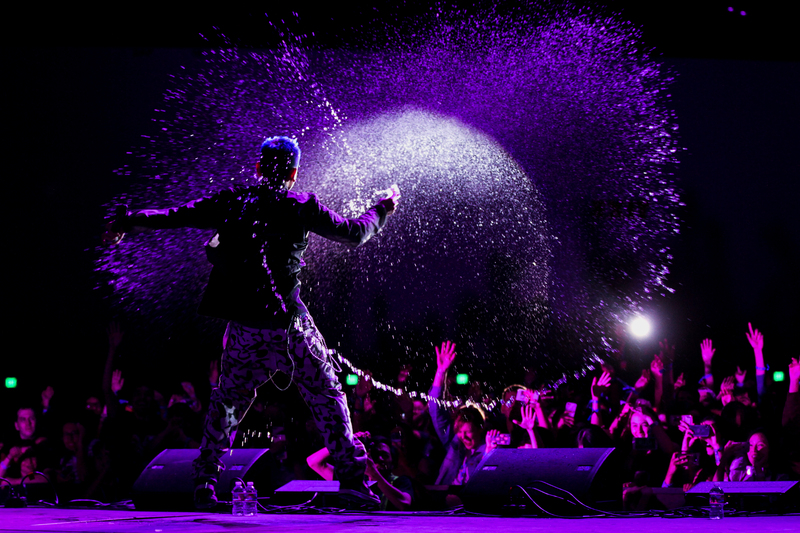 Stay tuned for our next KCON Adventure article and see the schedule here!